Lady Hornets fall to North Penn-Liberty. Lady Hornets shutout Towanda, 10-0. 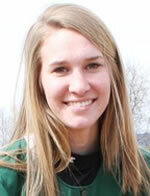 Young continues softball career at Houghton. Hornet softball beat South Williamsport, 4-1. Ingerick homers to give Lady Hornets win over Williamson. Lady Hornets top Troy, 1-0. Hornet softball tops Athens, 4-1. Hornet softball shuts out Sayre. Lady Hornet softball falls to Troy, 4-2. Kohler throws complete game to beat Canton. Hornet softball beats Williamson, 4-1. Wellsboro scores late to advance to D4 final. Wellsboro, NEB win heading into playoffs. Sayre softball edges Sullivan, 16-14. Troy edges Wellsboro; NEB beats Towanda. Waverly blanks Edison; NEB tops Athens; ND's May tosses perfect game.